The Olofa of Offa, Oba Mufutau Gbadamosi Esuwoye the second has endorsed the Kwara State Governor, Dr Abdulfatah Ahmed for Kwara South Senatorial Seat. 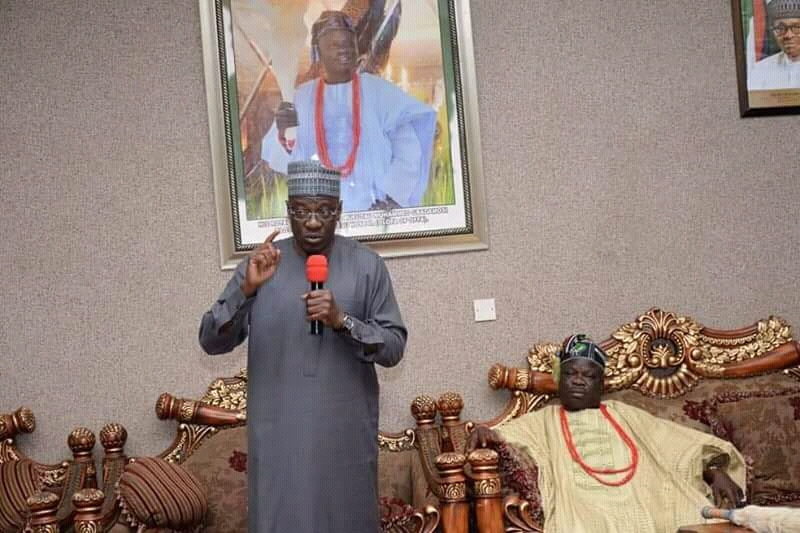 Oba Esuwoye gave the endorsement in his palace when he received the governor during his consultative tour to Irepodun, Oyun and Offa Local government areas in Kwara South Senatorial District on Monday. Oba Esuwoye insisted that Offa is satisfied with the performance of Governor Ahmed in various sectors and ready to support him without hesitation. “You are the one we know, the one who responds to our calls, the one we will support. You have always stood by us and we will stand by you,” Olofa affirmed. In his remarks, the Kwara State Governor, Dr Abdulfatah Ahmed called on the people of the state to stand firmly and remain united with the Peoples Democratic Party in order to move the state and Nigeria forward. Governor Ahmed who is a Kwara South Senatorial District aspirant under the platform of PDP enjoined the people not to allow themselves to be used by any politician to achieve their selfish interest, emphasising that the nocturnal politicians had nothing to offer as regards the development and growth of the state. Governor Ahmed urged the youth to desist from attacks on social media and work in unison for the peace, unity and progress of the Peoples Democratic Party in particular and the state at large. Dr Ahmed also appealed to Kwarans to support the presidential bid of the Senate President, Dr Bukola Saraki and be decorous in campaign and voting with a view to sustaining the harmonious relationship in the state. The royal endorsement was the peak of tour that also witnessed rousing welcome for Governor Ahmed at the palaces of the Olupo of Ajase Ipo and the Elerin of Erin. Governor Ahmed also addressed party faithful at Offa Descendants Union (ODU) Offa Hall which was filled to capacity by a tumultuous crowd of supporters and other members of the public.